Versatile trailer. Haul a variety of materials including rolled materials. plywood sheathing, pallets of shakes. Opt for a standard (48”Wx60”H) dump tray attachment to transport rock, tear off debris and other assorted materials. Four-wheel trailer includes a mechanical brake that makes contact with the front wheels when the tongue is dropped. 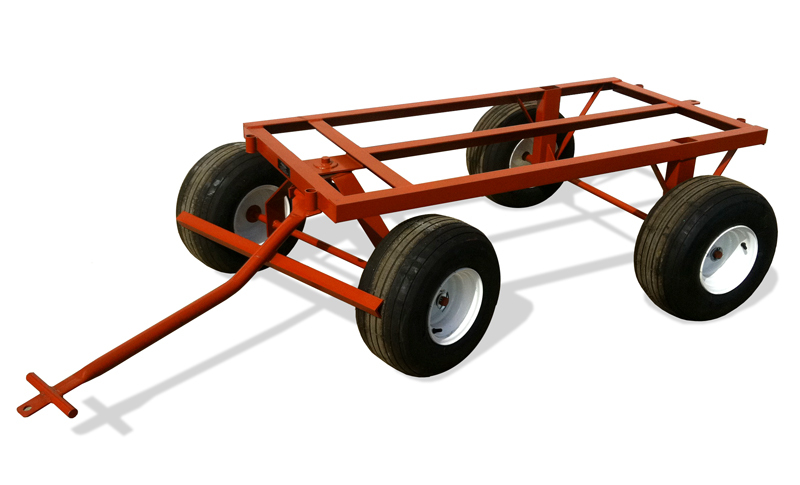 Trailers can be used individually or hook several together and haul all materials at once. Tire options include standard 400×8, large 18×8.50 or solid tires.